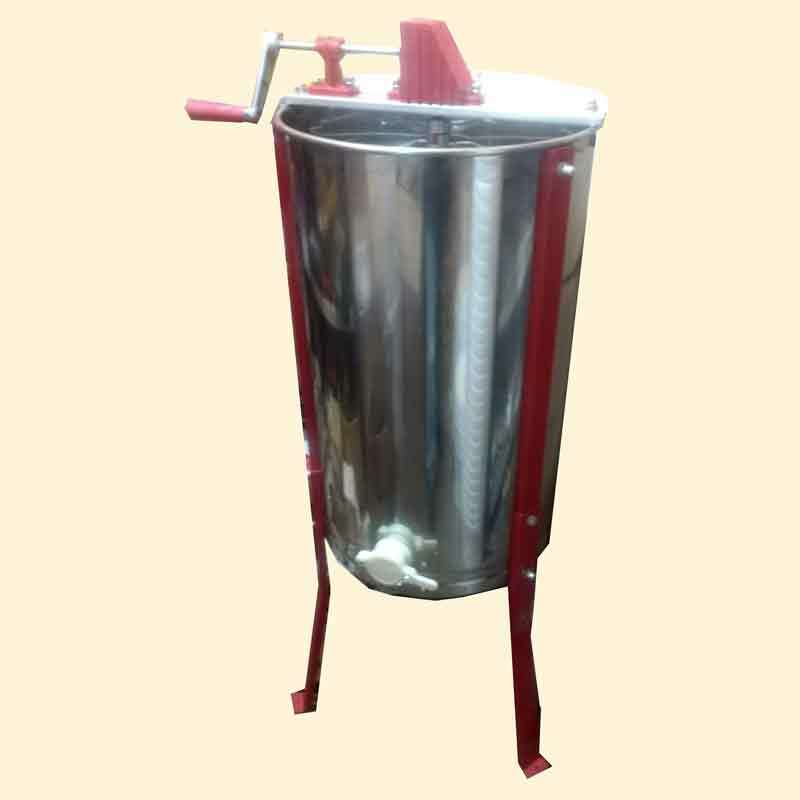 3 Frame Manual Tangential Honey Extractor with legs. 301 high grade stainless steel tank. Ideal for the hobby scale beekeeper. Versatile machine - cage fits 3 shallow or deep frames (super or brood) and all frame types, National, Langstroth etc. except Extra Deep Jumbo 14 x 12. Approx. 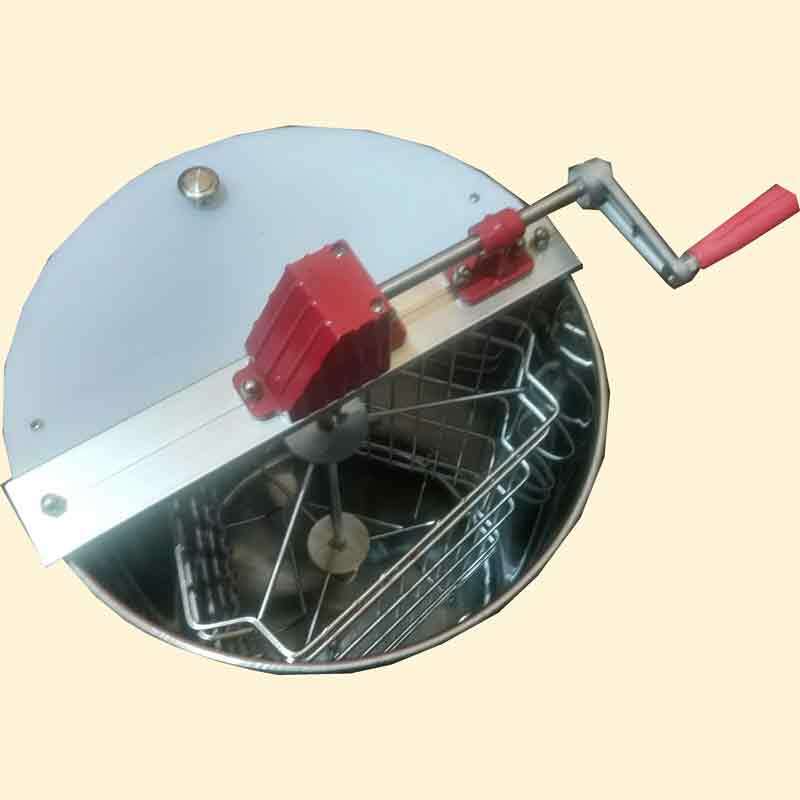 15 inches diameter and 24 inches high - the legs add 12 or 16 inches height, ideal for buckets and bottlers. Adjustable legs with bolts included, x3.